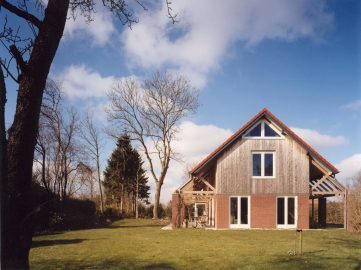 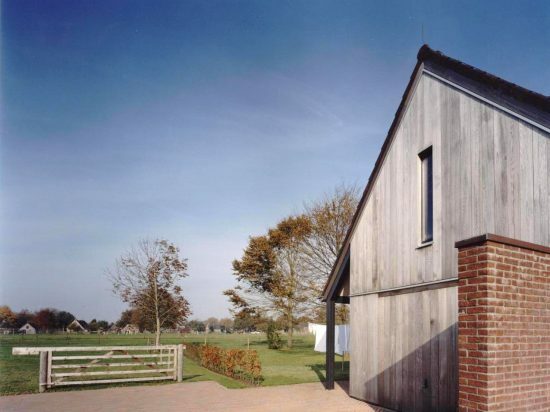 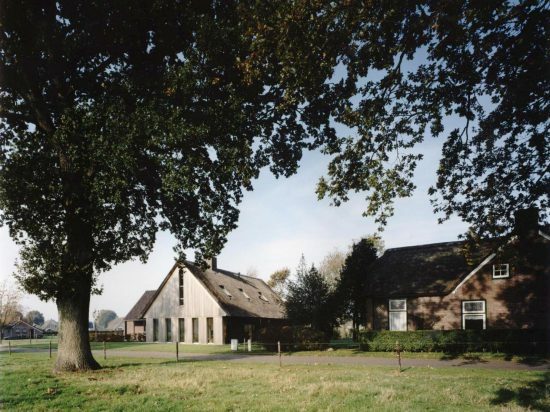 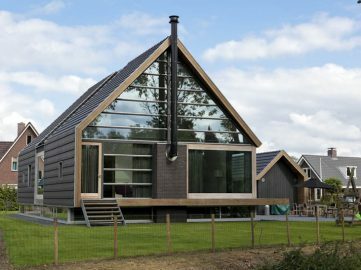 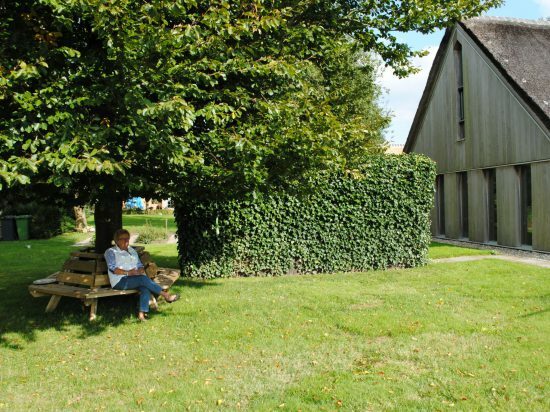 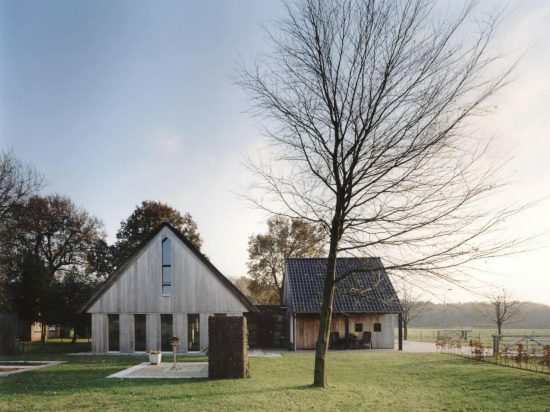 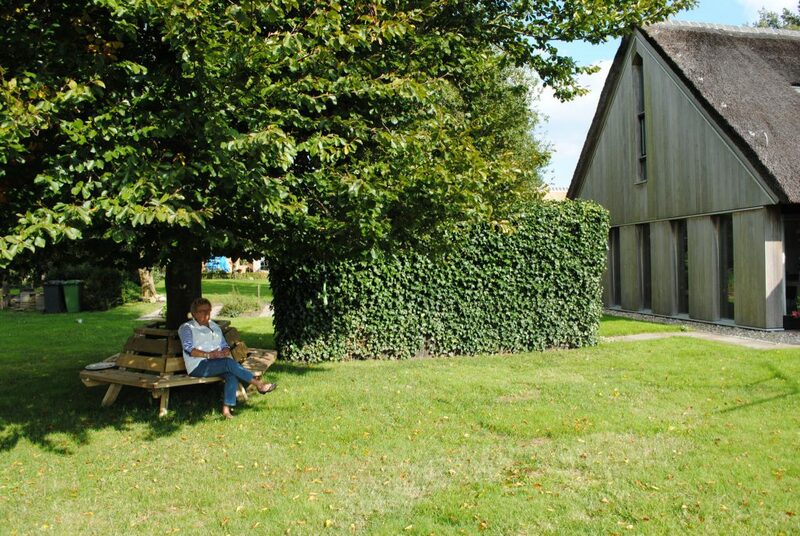 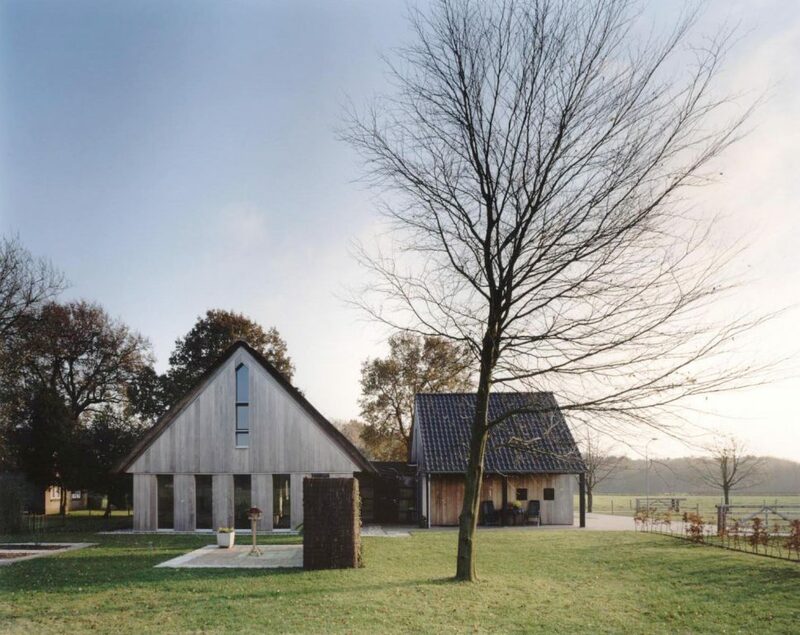 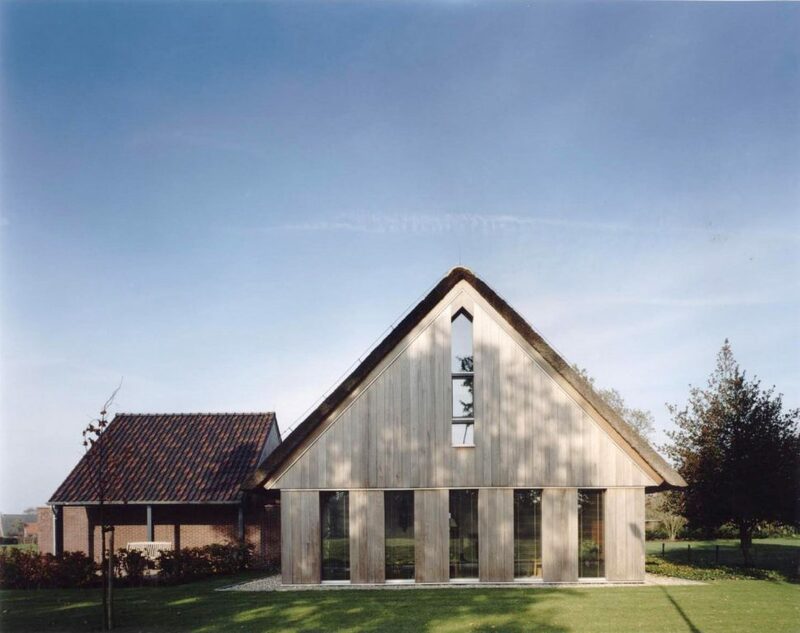 B+O Architecten realised a small but special farmhouse in one of the most characteristic landscapes of Drenthe. 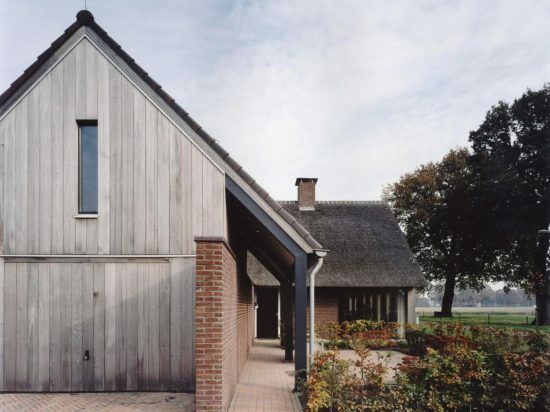 The façades of the house are made of vertically placed wood, in which some elongated windows have been made. 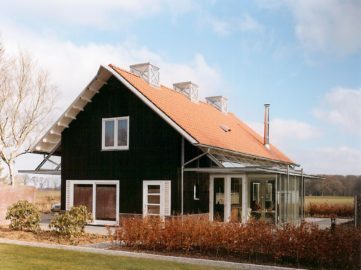 The vertical, wooden accents refer to the farmer’s barns in the area, which allows the house to fit in the scattered buildings of the village seamlessly. 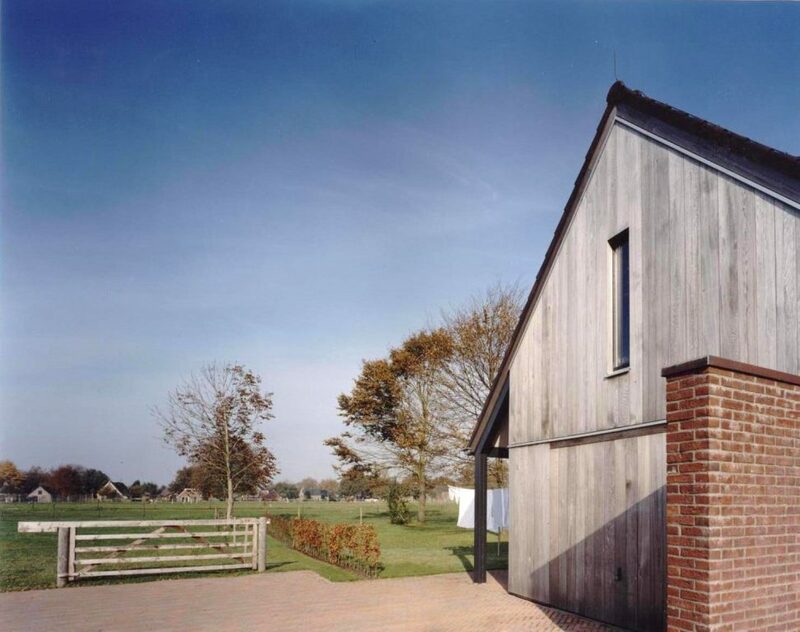 Striking about the façades is that they have been placed in front of the house as attachments. 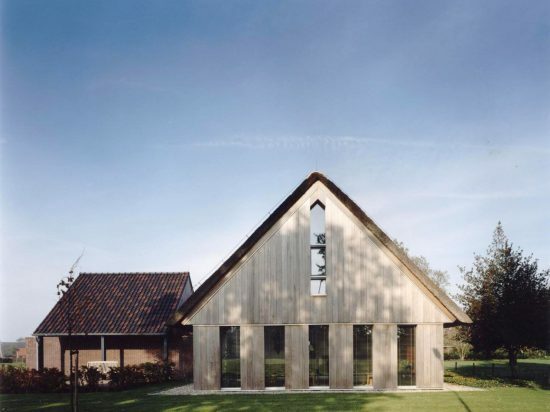 This creates spacious glass pieces that create a lovely light in the home.